I tiptoed around The Bell Jar for years without actually reading the story. With an upcoming new movie being introduced, and with a little time on my hands, I was intrigued to lift the lid, and take a peek. What surprised me the most was how funny author Sylvia Plath was! When she described her character Esther being in physics class and the professor was ‘scribbling letters and numbers and equal signs all over the blackboard until her mind went dead,’ – I had to laugh. As Esther works through her struggles to become an author and to live within the expectations of that time period, she feels suffocated, as if in a bell jar, unable to breathe. Unlike herself, Plath’s character survives. She breaks free of herself and ‘steps into the room’. Life today is full of challenges. We often feel overwhelmed or defeated. Perhaps we need to open our bell jars a bit and breathe. Finding the courage within ourselves to do what makes us happy is the first step. At 55 (and more or less) it’s time to give ourselves a break, take a risk, and lighten up. I think Sylvia would want us to. Amy enjoys using poetic language to capture the essence of the ordinary. Her work has been published in Word-Dancers: The Poets of Southwest Florida and Florida Weekly. 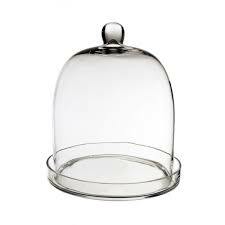 I love that image of a bell jar representing our limitations. Thanks for writing it up so well! Yes- limitations, fears, and self-doubt!! I remember being a little obsessed with the Bell Jar so long ago – didn’t know there was a movie coming. Thanks for the insight Amy!